The NBA Playoffs are a great time to establish your bookmaking business. The great news about the NBA Playoffs is the length of a series. They are all seven games and that’s the best scenario possible for the bookie. We need the seven games, we want the seven games and we hope for a long series and a long playoff season. The longer the series, the better the opportunity is to make a boatload of money. Every gambler thinks they can beat the NBA but we all know better than this. We know the NBA is tough to beat and we know the bettors will keep coming back for more. 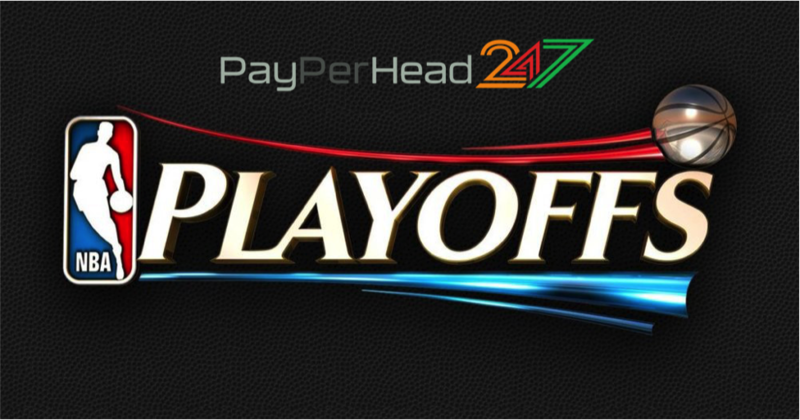 With software from PayPerHead247, you will be able to offer your clients the best games, the best betting options and the best odds. PayPerHead247 makes it easy to sign up and you can be up and running your business in mere minutes. You pay only for active players and the price starts from a very fair $10 per head. With PayPerHead247 your clients will have live wagering at their fingertips as well as detailed accounting reports that are free. If you want to stay on top of your players and know exactly how they bet, how they spend and what their habits are, then you must sign up right away and leave the heavy lifting to your personal secretary—PayPerHead247! That’s exactly what they are, personal secretaries. PayPerHead247 will not sign you up and then leave you, throw you to the wolves and abandon you. Jump in now for a four-week FREE trial and give these guys a chance to blow your doors off. Take a step back and forget about your cares for a while, let the professionals do your accounting, your security detail and most of all, let them show you how to start having fun again. Options… as a bookie you must provide your clients with a great wagering menu and many options. If you have very little to offer, they will find someone that has a lot to offer. Gamblers rarely stick to a few sports, they like to diversify. If you offer it, they will bet it! Horse & Racebook… Is yours relevant? Horse bettors will be your most loyal clients, but you had better pave the road with gold! These folks are picky, demanding, and they want the best. With PayPerHead247, you can offer them the best of the best with more than 70 tracks that pay track odds and that offer a state-of-the-art betting interface. A great casino… You must offer a fantastic and vibrant casino, if you are not doing so, then it’s guaranteed that you are losing business to the other guys. No matter how much folks love to bet on sports, at some point they get tired, they want to do something different and they want to play Blackjack, Caribbean Stud, Craps, Vegas style slots and much more. The best lines and odds in the industry and/or the ability to control your lines and odds. This is a biggie simply because there are many companies that believe their word is golden and they are the true authority on line movement and odds. NEVER settle for any company that sells you this line, this is not true, and it can lead you straight to the bookie ditch in a hurry. You want to rely on the knowledge of brilliant folks that have done this a time or two, however, maybe you have done this a time or two as well and you know what it takes on a nightly basis to adjust and set lines; PayPerHead247 gives you that control. If you want to set your lines, then, you have the power to do so. This is your bookie business and PayPerHead247 respects your decision-making. They want you to be successful and they are a phone call away from a live agent, but they will never dictate your path. Price and customer service… PayPerHead247 pride themselves in offering a fair price for a high-quality service that cannot be second guessed. They will be the first ones to admit, they are not the cheapest fair in town and they may never be. Just remember, “you get what you pay for”, and in this business, truer words will never be spoken. There are a lot of people running around out there that say they have better prices and cheaper operating cost… try to call them! What about a customer service team that’s sports knowledgeable for you and your client? What about a team that speaks great English and a team that will always respect your clients just as if it was you calling? The NBA is better and hotter than ever this year and someone just might knock Golden State off. The West seems like they lock it down every year, but this year just might be the exception. The Eastern Conference is very wide open and that means people will be betting in record numbers. Get in now, claim your free trial and try this out. You will be ready for the NBA Playoffs and what lies ahead.